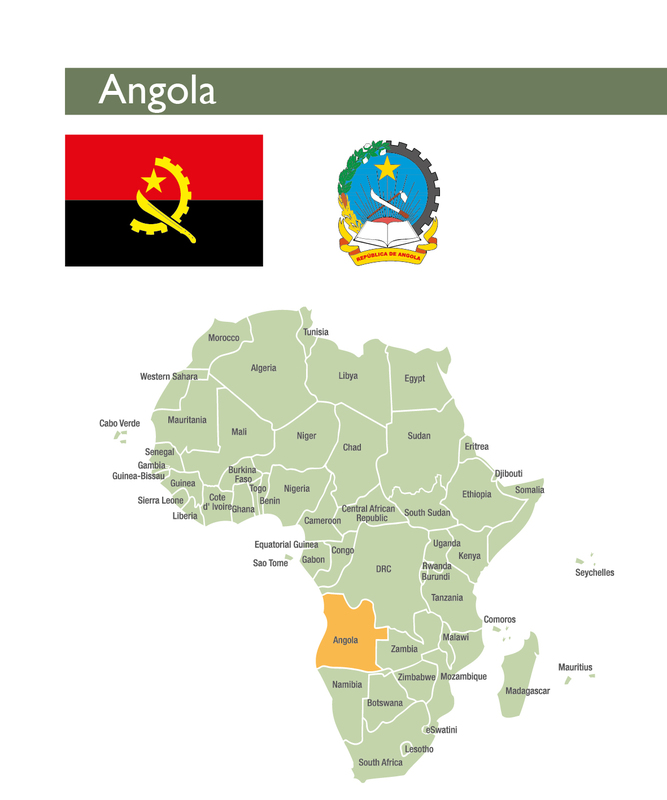 To download a pdf version of the full 2018 Angola country profile in English or Portuguese, click here. Angola’s economy is highly concentrated around the oil industry, which comprises about a third of its GDP and around 95 percent of exports, even since the global downturn and decrease in oil prices. Oil revenues and oil-backed loans have allowed for large-scale state investments in the construction and rehabilitation of public infrastructure, including the implementation of an ambitious housing programme to meet the country’s massive housing deficit, which is growing rapidly in a context of rapid urbanisation. While the housing programme over the last decade has contributed to an increase of the country’s housing stock through the state-led construction of new towns or centralidades, it has failed to create an enabling environment for housing development by the private sector, cooperatives and citizens. For the majority of Angolans, informal and incremental self-built housing remains the predominant method of housing development. Angola’s formal real estate market remains in its infancy, with most properties being bought new or off plan and few transactions in formal property titles. Property rights are ill-defined and land titles difficult to obtain, frequently complicating and lengthening the process of applying for a mortgage. Although under the Angolan constitution the state originally owns all the land, most people access land informally, with less than 10 percent of land parcels outside the Luanda’s urban core having legal titles and only a few thousand properties out of Luanda’s one million formal dwellings being fully registered. Although subsidised state-led housing construction remains a government priority, budget constraints resulting from the global economic downturn continue to limit the extent to which the government is able to invest in housing development. So far the lower income segment of the population remains virtually untouched by housing finance and development initiatives, in spite of the existence of the FFH and a legislative regime which regulates cooperatives and microfinance institutions.Evidence that people are prepared to invest their own savings through the social production of housing have demonstrated that there is a significant unmet potential for investment by households themselves. Best practices and innovations developed by players such as KixiCrédito offer demonstrations on how opportunities can be built on and further expanded. Angola’s economy is highly concentrated around the oil industry, which comprises about a third of its GDP and around 95 percent of exports, even since the global downturn and decrease in oil prices.Oil revenues and oil-backed loans have allowed for large-scale state investments in the construction and rehabilitation of public infrastructure, including the implementation of an ambitious housing programme to meet the country’s massive housing deficit, which is growing rapidly in a context of rapid urbanisation. Currently Angola is said to be one of the fastest urbanising countries in Africa with more than 62 percent of its population living in cities. After 38 years in office, Jose Eduardo dos Santos stepped down as president in August 2017. João Lourenço was elected as his successor. President Lourenço has begun to implement reforms in his initial year in office. His ambitious agenda includes fighting corruption, eliminating nepotism, diversifying and opening up the economy, and promoting the private sector. While the new government had initially intended to continue major infrastructure projects, some of these were delayed or suspended as a result of budget cutswhen the magnitude of the debt of over US$40 billion inherited from the previous regime became apparent. While the housing programme over the last decade has contributed to an increase of the country’s housing stock through the state-led construction of new towns or centralidades, it has failed to create an enabling environment for housing development by the private sector, cooperatives and citizens. For the majority of Angolans, informal and incremental self-built housing remains the predominant method of housing development. The new government’s decentralisation reforms and promised revision of planning and land legislation offer some optimism for an improvement in the real estate environment. ANGOP (2017). ”Angola among fastest urbanization in Africa.” 26 April 2017. http://m.portalangop.co.ao/angola/en_us/noticias/sociedade/2017/3/17/Angola-among-fastest-urbanisation-rates-Africa-minister,9eeb5f47-5bc9-4216-9df7-561f034fda05.html(Accessed 28 Aug 2018). LazardNet (2018). Emerging Markets Sovereign Outlook: Angola. http://www.lazardnet.com/us/emd/docs/sp0/9709/EmergingMarketsSovereign-Angola(Accessed 28 Aug 2018). The Angolan banking sector is now the third largest in Sub-Saharan Africa (SSA) after Nigeria and South Africa.As of April 2018, there were 29 commercial banksauthorised to operate in the country.The Angolan banking sector has mounted a campaign in recent years to increase its client base, with the objective of capturing savings. 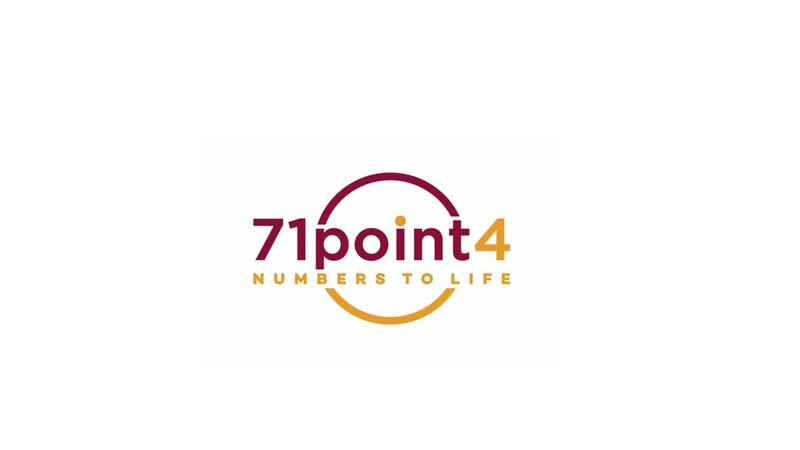 The Bankita programme, launched by the Banco Nacional de Angola (BNA) in partnership with most of the commercial banks that operate in Angola, is an effort to improve access to banking services among low income households by lowering the threshold to a nominal initial deposit. By 2018, 52.3 percent of the Angolan adult population held bank accounts. However, access to credit remains difficult with Angola registering in the bottom five percent of countries for that indicator in the 2018 World Bank Doing Business Report, with a score of 183. The post-war construction boom has resulted in a growing interest in the mortgage market and several large banks have started offering loans for housing. For example, Standard Bank offers average loans of about US$210 000 with a typical loan-to-value at origination of 70 percent. Banks in Angola rarely extend unsecured credit. If they do, it is highly collateralised (125 percent) in the form of property, or dollar deposits from the borrower.The lack of credit information and national identification systems to gauge the creditworthiness of prospective borrowers means that collateral is required for nearly all loans. Banks have actually reduced credit access for clients since 2014, justifying their reluctance with the increasing percentage of loan defaults and a reported decrease in client demand. The emphasis of bank efforts appears to be to capture deposits, which they invest in treasury bills issued by the National Bank of Angola, earning interest at up to 24 percent annually, often indexed to the US Dollar. Commercial banks have earned substantial profits of up to 40 percent in 2017, the only sector of the Angolan economy not to show a decline. Angola’s non-bank financial sector remains small, with the combined assets of insurance, pension funds and microcredit institutions being equivalent to only two percent of GDP. Nevertheless, the increase in the number of non-banking institutions in the past year was significant. As of 2018, Angola counted 40 authorised microfinance institutions (MFIs) and four credit cooperatives.However, the penetration rate of MFIs remains low, with little more than 30 000 active clients.Of the MFIs currently registered with the BNA, KixiCredito remains the only institution reporting up to date information with MIX Market, an online source of microfinance performance data and analysis. KixiCredito is the largest non-bank microfinancier, launched by local non-governmental organisation Development Workshop Angola. In 2017, KixiCredito had a staff of almost 300 and 22 000 clients with 21 branches in 17 of Angola’s 18 provinces. With the devaluation of Angola’s currency against the US Dollar, the value of KixiCredito’s gross loan portfolio reduced to US$10 million from US$15 million in 2015 .In addition to microfinance for small business, it also offers a housing microfinance product called KixiCasa. The product enables groups of three to five people to access 36-month loans from US$1 000 to US$6 000. 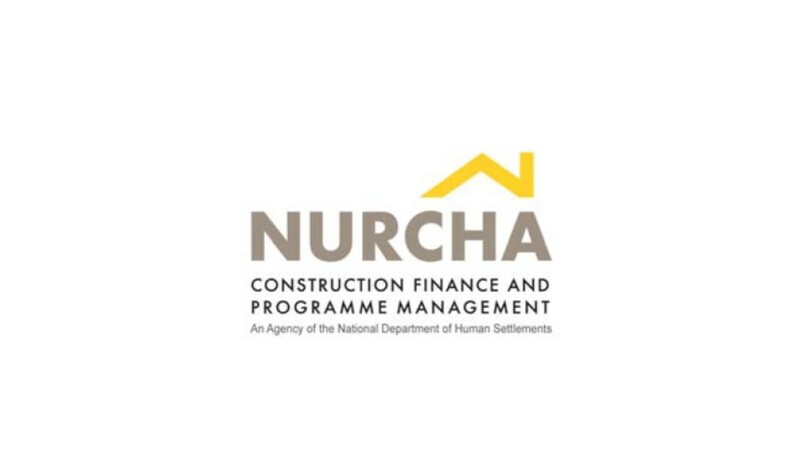 In 2012, the Community-Led Infrastructure Finance Facility provided a line of financing for a new social housing project in Huambo province through the provision of end-user finance for incremental housing by KixiCasa. 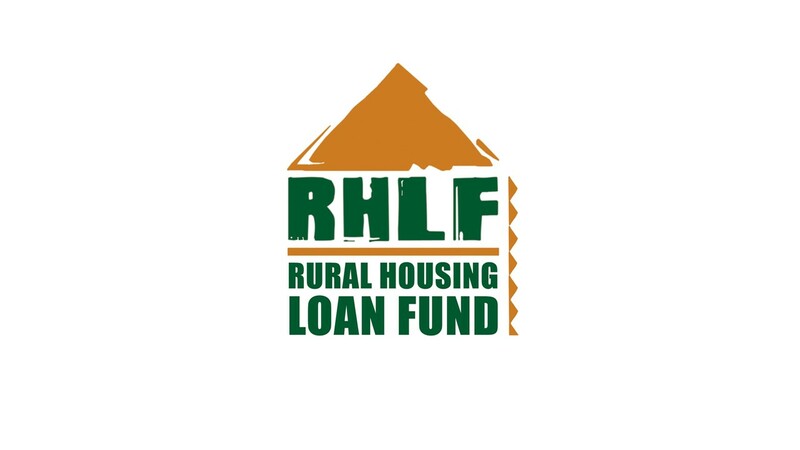 These loans put the construction of a three to four-bedroom house with a total cost of up to US$30 000 in different loan cycles within reach of low income households. Banco Nacional de Angola (2018). Lista de instituições financeiras autorizadas, as of 18 May 2018. http://www.bna.ao/Conteudos/Artigos/lista_artigos_medias.aspx?idc=142&idsc=834&idl=1. (Accessed 19 August 2018). The World Bank (2018). Doing Business in Angola. http://www.doingbusiness.org/reports/globalreports/~/media/giawb/doing%20business/documents/profiles/country/AGO.pdf. (Accessed 19 August 2018). Export.gov(2017). Angola Country Commercial Guide, 7/7/2017. https://www.export.gov/article?series=a0pt0000000PAt9AAG&type=Country_Commercial__kav. (Accessed 19 August 2018). Banco Nacional de Angola (2018). The MIX Market (2018) Angola Country Profile. https://www.themix.org/mixmarket/countries-regions/angola. (Accessed 19 August 2018). Sixty-two percent of the Angolan population is urban; the median age is 18 years and the average household has five members. The basic living income required for an Angolan family is estimated to be Kz13 9400 (US$555)a month. The monthly minimum wage, while remaining unchanged in Angolan currency at Kz15 003, has lost value and buying power due to its devaluation from about US$90 to US$60,but skilled private sector employees generally earn over 20 times more than those in the lowest income bracket.For expatriate oil company employees, this income is even higher, with employers generally picking up the bill for accommodation. The Angolanisation of petroleum sector employment has resulted in significant reduction of demand for expatriate housing. While high-end housing prices have fallen by approximately 30 percent since 2016, however, Mercer’s annual survey found in 2018 that Luanda was still the sixth most expensive city globally and the most expensive African city. By 2017, the cost of a new two-bedroom apartment of about 180m² in downtown Luanda reached US$4500/m². An existing two-bedroom apartment went for about US$3000/m2, or US$500 000 per unit, while a three-bedroom house of about 190m² in a residential compound in the suburb of Luanda Sul cost US$570 000 per unit or US$3 000/m². A lack of public transport means that many residents who have moved to the suburbs rely on costly private transport, effectively adding to their household costs. In 2009, the Angolan government created a Housing Development Fund (FFH) (Decree 54/09 of 2009) to support the financing of social housing for low income households. However, the portfolio of the FFH remains limited to providing subsidised loans for public servants in state housing projects. Loans are extended for up to 30 years with a three percent interest rate. To facilitate access to other prospective inhabitants, in 2013 the government launched subsidised rent-to-buy schemes, now managed through Imogestin, a public-private partnership real-estate company, open to those with formal employment, a national identity card and a tax-payer card. Apartments in these projects were initially priced between US$125 000 and US$200 000 a unit. These schemes reduced apartment prices to US$80 000 for a three bedroom apartment through 20-year mortgages witha three percent interest rateandmonthly payments of the equivalent of US$390 which was fixed in national currency at the 2017 rate. This brought ownership within the reach of early career professionals and mid-level civil servants earning over US$1 000 a month. However, government housing projects, while highly subsidised, still remain unaffordable for low income households. By 2018 a significant proportion of clients of the rent-to-buy schemes have lost their capacity to make their monthly payments and have entered into default. Imogestin, the contract holder, has not been authorised to carry out repossessions. Source: Government of Angola (2016). 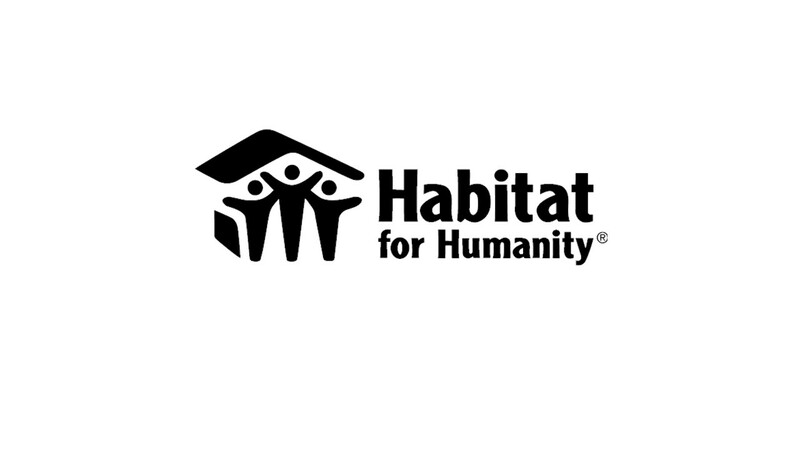 Angolan National Report for Habitat III. Trading Economics (2018). Angola – Economic Indicators https://tradingeconomics.com/angola/indicators. (Accessed 19 August 2018). Centro de Estudos e Investigação Científica (CEIC) (2015). Relatório Económico Annual 2014. Luanda: Universidade Católica de Angola. http://www.ceic-ucan.org/wp-content/uploads/2017/02/RELATORIO_ECON_2015.pdf(Accessed 19 August 2018). Martins Chambassuco (2018) Expansao 09 February 2018. Knight Frank (2018) Africa Report 2017/18. https://content.knightfrank.com/research/155/documents/en/africa-report-201718-4576.pdf. (Accessed 2 September 2018). Luanda’s housing stock consists largely of a dilapidated urban core of colonial-era buildings surrounded by sprawling slums.Several government housing projects were developed for low income households and public servants. These included projects such as Kilamba, Zango, Panguila and Nova Vida in Luanda. However, rapid urbanisation has meant that these projects contributed little to overcoming the housing deficit, estimated by the Ministry of Urbanisation at 1.2 million units in 2012.According to Angola’s National Statistics Institute, as much as 90.9 percent of the urban population reported living in inappropriate conditions with limited access to sanitation, water and electricity. The 2008 pre-election announcement that the State aimed to produce one million homes under the slogan “My Dream, My Home” (Meu Sonho, Minha Casa), was formally adopted in 2009 as the National Urbanism and Housing Programme (PNHU) (Resolution 20/09 of 2009), the implementation of which is ongoing, with an extended timeframe beyond 2012. The most successful element of the programme, up until 2016, had been the delivery of state-built housing, with almost 152 000 units having been delivered through financing from the state budget.This includes the construction of new urban centres such as the “new city” of Kilamba, including the centralidadesof Sequele (formerly known as Cacuaco), Capari, Km 44 and Condomínio Vida Pacífica (Zango), all financed by oil-backed credit lines and built by Chinese companies on the outskirts of Luanda and other cities throughout the country. In 2018, as previously funded housing continues to be released in the new urban centres, project plans continue to be announced, but budget restrictions have halted the programme. By 2018 the PNHU has delivered a total of 218 418 houses including those built through state-funded public-private partnerships and cooperatives. While the Government has expressed satisfaction with the work being done, it was admitted that external infrastructure, including the lack of water and sanitation connections, remains a concern involving various ministries.The role of the private sector in the housing programme has been limited due to their reluctance to invest their own capital, given the high material and administrative costs of construction, the lack of a unified, functioning and up-to-date property registration system and legal guarantees to allow banks to recover assets on defaulted housing loans. As a result, the private sector has focused on the development of high-end housing, or, in state-financed projects, limiting its role to that of contractor and/or manager. Despite the identification of housing cooperatives as one of the key actors responsible for housing delivery, legislation to regulate the activities of cooperatives was only adopted in 2015 (Law 23/15 of 2015). To date, there are still only a few active housing cooperatives in Angola, and these have experienced difficulties with regard to infrastructure provision, land titling, default in payments by members, and reduced interest in the cooperative model, in the face of state housing projects. So far, housing cooperatives have built 12 000 out of 80 000 originally planned units. Although assisted self-help building was meant to be the largest component of housing delivery under the government’s housing programme, it has received the least resources: 131 624 plots have been distributed, mainly to accommodate resettled people, but little progress has been made in large-scale land titling, infrastructure provision or housing finance for low income households. Hence, self-built stock continues to be predominantly informal. Over 20 000 units were built at the same time through social production, outside the PNHU, and using largely informal market mechanisms, almost matching the Government’s delivery of housing. While much of the Government’s housing programme was contracted to international firms from China, Israel and Brazil, the social production of housing created a significant amount of employment. The National Housing Directorate estimates that 1.22 jobs are created by each house constructed. The Angolan government has created a state-owned land management company Empresa Gastora de Terrenos Infra-estruturados (EGTI). The public company’s primary mandate is to carry out a more rational and economic driven process of urbanisation in the country. EGTI was expected to earn US$773 million by 2020 just by selling land in two towns built from scratch in Luanda Province.EGTI was also awarded management authority of the new land in Luanda and 20 other real estate developments in various parts of the country. EGTI has been formally awarded musseque/slum land with a high real estate value appropriated from former residents in the Sambizanga district in the heart of Luanda. The domestic construction and the local building material sectors remain underdeveloped. As a result, foreign firms and imported building materials dominate the market, making construction very expensive. Currently, Angola has three main cement producers and two new plants in the pipeline. In line with the poor state of the general economy, depressed by low oil prices, the Angolan cement market contracted in 2016 by two percent to 3.9/mt. The ban on imports reduced prices from over US$20 in 2007 to about US$7 in 2015, which has remained the official cost in 2017. However, the economic crisis has pushed up prices in the informal market where cement is more readily available, to about US$15. Ministerio do Urbanismo e Habitacao (2015). Programa de Habitacao Social em Angola. http://www.slideshare.net/DevelopmentWorkshopAngola/programa-de-habitao-social-em-angola. (Accessed 19 August 2018). National Institute of Statistics (2010), Inquérito Integrado sobre o Bem Estar da População(IBEP) 2008-09. Luanda, August 2010. Government of Angola (2016) Angolan National Report for Habitat IIIhttp://habitat3.org/wp-content/uploads/Angola-Habitat-III-Final-Report-English.pdf. (Accessed 19 August 2018). Construction review online(2016). Government of Angola working to provide social housing to population, October 3, 2016. Government of Angola working to provide social housing to population. https://constructionreviewonline.com/. (Accessed 19 August 2018). LUSA (2017) Dívida pública angolana financia nova Empresa Gestora de Terrenos Infraestruturados – 03 August 2017.https://www.dn.pt/lusa/interior/divida-publica-angolana-financia-nova-empresa-gestora-de-terrenos-infraestruturados-8682554.html. Paulo Cunha/LUSA (2017) ‘Imobiliária’ do Estado angolano quer vender 710 milhões em terrenos em Luanda. http://observador.pt/2017/03/30/imobiliaria-do-estado-angolano-quer-vender-710-milhoes-em-terrenos-em-luanda/. (Accessed 19 August 2018). Angola’s formal real estate market remains in its infancy, with most properties being bought new or off plan and few transactions in formal property titles. Property rights are ill-defined and land titles difficult to obtain, frequently complicating and lengthening the process of applying for a mortgage.Although under the Angolan constitution the state originally owns all the land, most people access land informally, with less than 10 percent of land parcels outside the Luanda’s urban core having legal titlesand only a few thousand properties out of Luanda’s one million formal dwellings being fully registered. This significantly limits the extent to which the government is able to collect land and property taxes. A new law on urban property tax (Law 18/11 of 2011) reduced the cost of transferring property from 10 percent to two percent, eliminating transfer costs altogether for low cost housing. Since 2016 the government has campaigned for payment of property taxes on the basis of occupation or use of land. However, the message is weakened by the authorities’ assertion that the payment of tax does not guarantee tenure rights. The incentive to pay property taxes is therefore undermined. Property taxes still only account for only 1.28 percent of the state’s income. Angola has made efforts to reform the administrative processes for registering and transferring property through the creation of a Guiché Único(Presidential Decree 52/11 of 2011) in 2011, a one-stop-shop for property registration. New laws on notaries and realtors (Law 8/11 of 2011 and Law 14/12 of 2012) have liberalised the property market, allowing for the private exercise of this profession alongside state officials.Stamp duties were reduced from 0.5 percent to 0.3 percent, tax on housing credit from 0.3 percent to 0.1 percent, and land registry fees have been reduced by half with a continuing positive effect on the administrative processes of registering property. As a result, the cost of transferring property was reduced from 11.5 percent of the property value in 2005 to 2.9 percent in 2015, and this remains applicable in 2018. According to the World Bank’s Ease of Doing Business ranking, on average, it takes 190 days to register commercial property. New laws for rentals and the transfer of housing have also been adopted to make investment in rental housing more attractive and to offer more protection for tenants. This includes a new urban rental law (Law 26/15 of 2015), approved in October 2015, which requires that rental payments be in the Angolan currency instead of US dollars and that down payments should be limited to a maximum of six months. Previously, it was common for landlords to demand down payments of two years. Obtaining the official permits and licences necessary to operate in Angola remains costly and time-consuming. According the World Bank’s 2018 Ease of Doing Business indicators, construction permits take on average 173 days. A mortgage law that would allow financial institutions to guarantee loans backed up by a lien on the property being purchased has been proposed by the Angolan Association of Real Estate Professionals (APIMA). The proposal would permit the recovery of property in case of a default on a loan, avoiding lengthy court delays. The law has not yet been approved by the Council of Ministers.According to APIMA, it takesthree years for banks to confiscate mortgaged real estate through the courts. Development Workshop (2011). “The Case of Angola: Strengthening Citizenship through Upgrading of Informal Settlements Cross Country Initiative.” Final Synthesis Report TF 0901110 presented to the World Bank, Luanda 30 June 2011. The World Bank (2018). Country Profile. APIMA (2012). Diagnstico do sector imobilirio em Angola http://www.slideshare.net/DevelopmentWorkshopAngola/financeiro-da-habitao-workshop-diagnstico-sector-imobilirio-em-angola-associao-de-profissionais-imobilirios-de-angola-apima-01-junho-2012. (Accessed 19 August 2018). In post-war years, the Angolan government has adopted an extensive legal and institutional framework to regulate the land, housing and financial sector. This includes the adoption of a new land law (Law 9/04 of 2004), which establishes the different types of land rights that can be granted by the state and stipulates that informally occupied land needs to be regularised within three years after the approval of the law (a deadline that has since been extended after expiring in 2010). A territorial planning law (Law 3/04 of 2004) calls for the creation of national, provincial and municipal development plans to allow for more orderly planning. An official housing policy (Resolution 60/06 of 2006) guarantees the universal right to housing. A framework law for housing (Law 3/07 of 2007) defines the different instruments that are to be used to guarantee this right, such as the creation of a system of credit for housing. This law represents the statutory basis for the FFH. The Angolan government has also created a new Ministry of Territorial Planning and Housing, a National Housing Institute, and a Ministry of Construction, which in addition to local government, are expected to contribute to fulfilling the government’s policy objectives. However, property rights remain highly problematic in Angola. The territorial planning law mentioned above has had a mixed reception. Provisions giving individuals and communities the right to legally register ownership of previously informally occupied land were positively received in rural areas, whereas where urban development and standard real estate lending prices were concerned, distortions were noted, largely caused by legal misinterpretations. The government is still reviewing existing legislation on land and property through the consultation with stakeholders such as APIMA to fast track land and property regularisation. Major political reforms are planned for 2020 with the election of municipal councils and the creation of a new autonomous level of governance. The management of local land, housing and basic services will be the responsibility of the municipalities, including the right to raise local taxes, fees, make budgets and control finances. It is expected that municipalisation will provide an incentive to local real estate markets when land cadastres and fiscal matters will be locally administered. 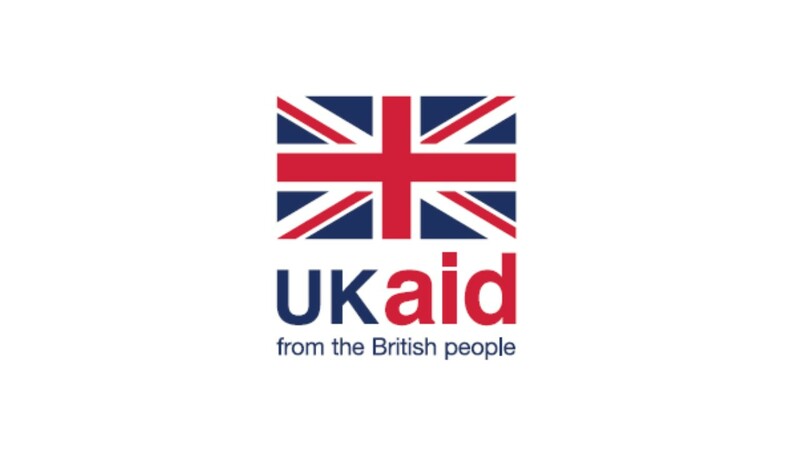 Although subsidised state-led housing construction remains a government priority, budget constraints resulting from the global economic downturn continue to limit the extent to which the government is able to invest in housing development. Prospective legal reforms in land and property, including the approval of a draft law on mortgages that would allow financial institutions to acquire liens on real estate, should facilitate private sector investment, and also generate tax revenues which can be allocated to further develop the housing sector. So far the lower income segment of the population remains virtually untouched by housing finance and development initiatives, in spite of the existence of the FFH and a legislative regime which regulates cooperatives and microfinance institutions. Hopes for a post-war peace dividend, electoral promises and the large state investments in housing has produced high expectations with a significant demand from those at the “bottom of the pyramid” who have been bypassed by the PNHU. Evidence that people are prepared to invest their own savings through the social production of housing have demonstrated that there is a significant unmet potential for investment by households themselves. Best practices and innovations developed by players such as KixiCrédito offer demonstrations on how opportunities can be built on and further expanded. Abacus (2015). Property market report Angola. https://media.egorealestate.com/ORIGINAL/1cc5/3565b98c-6424-4ea6-92e8-3e66f1271cc5.pdf. (Accessed 19 August 2018). ANGOP, Angola: BIC Bank joins BODIVA (27 April 2016) http://www.angop.ao/angola/pt_pt/noticias/economia/2016/3/17/Angola-BIC-torna-membro-BODIVA,2ab57a96-12f3-4735-9642-84ebfa3847a7.html. (Accessed 19 August 2018). ANGOP. Securities code in place since 31 August. 4 September 2015. http://www.angop.ao/angola/en_us/noticias/economia/2015/8/36/Securities-code-place-since-August,0de19499-b2fa-4fbd-af5b-3c3c05e9a210.html. (Accessed 19 August 2018). Development Workshop (2016). Angola’s housing sectors: understanding market dynamics, performance, and opportunities. Available at http://www.housingfinanceafrica.org/document/angolas-housing-sectors-understanding-market-dynamics-performance-and-opportunities/. (Accessed 19 August 2018). Expresso (2015). Negócio imobiliário angolano em queda livre (20 September 2015). https://expresso.sapo.pt/economia/2015-09-20-Negocio-imobiliario-angolano-em-queda-livre-#gs.qTREIME. (Accessed 19 August 2018). LUSA (2017). Dívida pública angolana financia nova Empresa Gestora de Terrenos Infraestruturados – 03 August 2017.https://www.dn.pt/lusa/interior/divida-publica-angolana-financia-nova-empresa-gestora-de-terrenos-infraestruturados-8682554.html. (Accessed 19 August 2018). National Institute of Statistics (INE). Recenseamento Geral da População e Habitação. Resultados definitivos (March 2016).